It’s been a quarter-century since Japan’s asset bubble burst – and a quarter-century of malaise as one “lost decade” has followed another. Some of the criticism of its economic policies is unwarranted. Growth is not an objective in itself; we should be concerned with standards of living. Japan is ahead of the curve in curbing population growth, and productivity has been increasing. Growth in output per working-age person, especially since 2008, has been higher than in the United States, and much higher than in Europe. Still, the Japanese believe they can do better. I agree. Japan has problems on both the supply and the demand side, and in both the real economy and finance. To address them, it needs an economic program that is more likely to work than the measures policymakers have recently adopted, which have failed to achieve their inflation target, restore confidence, or boost growth to the level desired. For starters, a large carbon tax, if accompanied with “green finance,” would stimulate enormous investment to retrofit the economy. Almost surely, this stimulus would exceed the contractionary effect of money being taken out of the system and the negative wealth effect of the decreased value of “carbon assets.” The adverse wealth effect from the decrease in the value of carbon assets would be small; and, with the capital stock badly out of sync with the new price system, the investment unleashed would be large, unless there were bottlenecks in closing the gap. In that case, the money generated by the tax could be used to reduce government debt; otherwise, it could be used to finance investments in technology and education – including supply-side measures to improve the productivity of Japan’s service sector. These expenditures could simultaneously stimulate the economy in ways that would finally pull it out of deflation. Many outsiders worry about Japan’s debt, which is easy to service at the low interest rates prevailing today, but would not be if rates increased to more normal levels. While I don’t see that happening anytime soon, Japan could undertake two policies to inoculate itself against such concerns. First, it could exchange some of its debt for perpetuities, bonds that are never repaid, but pay a (small) interest rate each year. This would shift the risk entirely off the government’s books. Some might worry that this would be inflationary; but in Japan’s upside-down economy, inflation is exactly what’s needed. I believe worries about a sudden increase in interest rates are greatly overblown; but, out of an abundance of caution, the government could exchange say 5% of its debt every year, unless and until excessive inflationary pressures appeared. Alternatively, the government could exchange the debt for non-interest bearing money – the long-feared monetization of government debt . Even if monetary finance was more likely to boost inflation than the exchange of debt for interest-bearing perpetuities, this is hardly an argument against it: it is only an argument for going more slowly. The second way Japan could protect itself from an interest-rate spike starts from the recognition that a large share of the money the government owes it owes to itself. Many on Wall Street don’t seem to understand that what matters is the net debt – what the government owes to the rest of society. If the government repaid the money it owes to itself – netting it out, in effect – no one would know the difference. But those on Wall Street who look only at the headline debt-to-GDP ratio would suddenly feel better about Japan. If after all of this, there is still evidence of a lack of demand, the government could reduce its consumer taxes, increase investment tax credits, expand programs to help low- and middle-income households, or invest more in technology and education, financing all of this by issuing money. 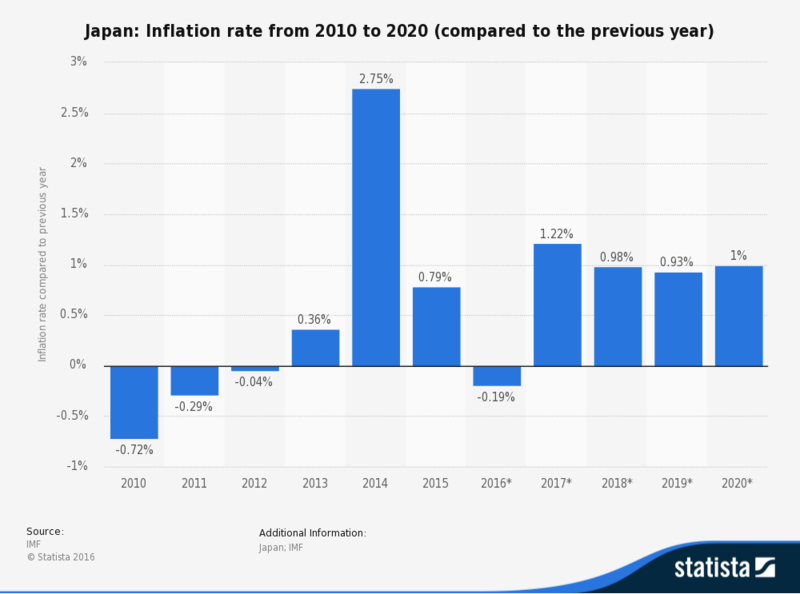 Again, old economics would worry about inflation; but Japan wants those “fears” to come true. Japan does have more than a demand-side problem. Data on output per hour worked suggest a supply-side problem, most clearly manifested in the service sector, where the impressive ingenuity seen in so many manufacturing industries typically is nowhere in evidence. A natural niche for Japan would be technology developments in the service sector – such as the development of diagnostic instruments in the health-care industry. Prime Minister Shinzo Abe , however, has taken a very different approach, supporting the Trans-Pacific Partnership trade deal with the US and ten other Pacific Rim countries. Abe believes that the TPP would force needed reforms in domestic agriculture (though, interestingly, no one in the US thinks it would help the US move away from its highly distortionary agricultural policies). In fact, such reforms would have a miniscule effect on GDP, simply because agriculture is a very small part of output. Nonetheless, such reforms remain desirable and provide another arena in which young Japanese could show their ingenuity (though the TPP is not the best way to bring that about). On the other hand, Abe is right to pursue policies to integrate women more fully and equally into the labor force. If successful, such measures should provide a boost to both productivity and growth. Even after a quarter-century of stagnation, Japan remains the world’s third-largest single economy. Policies that can help raise standards of living there will stimulate demand and growth elsewhere in the global economy. Equally important, just as it has shared its innovative goods and technologies with the world, Japan could end up exporting successful policies, with the same or similar measures increasing standards of living in other advanced countries as well.